If you have a mortgage you may also have a Home Equity Line of Credit (HELOC). As time goes buy, home owners with a HELOC can gain greater access to this equity by refinancing. 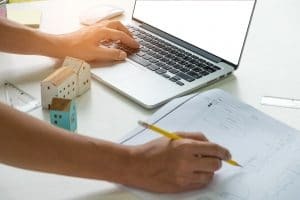 This can eventually leave you with a generous credit limit, which is great news to many home owners who are looking to start a large renovation, purchase a vacation home or rental property, put a family member through school, or simply want the financial security that comes with access to a substantial line of credit! But this kind of access is about to bring a screeching halt to those on the road to getting a new mortgage on a second property. Until recently, when you applied for a mortgage your previously existing mortgage and HELOC payments were taken into account to ensure you could handle the additional debt load. Now certain banks are making these calculations based on the hypothetical scenario that you have maxed out your HELOC, even if you don’t currently carry a balance. And other banks are certain to follow suit by next year. Lets say you’re applying for a mortgage on a cottage and that you already have a HELOC with a $200,000 limit at a rate of 6.45% over 25 years. Previously, your lender would make you prove that you could afford the payment on the amount owing on the HELOC, on top of the new mortgage. Now the lender will make you prove that you can afford the payment on the full credit limit of the HELOC ($1,334/m based on this scenario), as well as the payment on the new mortgage. The median Canadian homeowner household makes about $7,400 a month. Adding a $1,334/m payment—almost 20% of gross income—to their debts is huge! The average borrower has a total debt service (TDS) ratio of 35% and the maximum TDS limit for prime HELOCs is between 40 and 44%. This new hypothetical payment would skyrocket their TDS ratio to well over 50%! Even if they don’t carry a balance on the HELOC. They don’t have a chance at purchasing a second property… unless they make some changes. Find a new lender. Only a few of the big banks are using this new policy, but it won’t be long (next year at the latest) that everyone else will follow suit. However, you can expect lenders who don’t apply this debt-ratio policy to charge higher rates (and act like they’re doing you a service in the meantime). Contact us today to find out which lenders have NOT (yet) adopted this new policy. Lower your HELOC limit. This will benefit your TDS ratio and help you get approved for a new mortgage. Exchange your HELOC for new debt. Most lenders are going to want to keep your business and help you with your new mortgage. They’ll suggest you convert your HELOC to a fixed- or variable-rate mortgage. Close your HELOC. The pitfalls of this new policy in relation to HELOCs can’t hurt you if you don’t have one. You may also want to think of switching to an unsecured credit line. Get a co-borrower. Preferably one who doesn’t also have a HELOC. But it’s not like the banks came together and made this decision on their own. So where did it come from? Lenders, if they can convince existing borrowers to stay with them. Your Calgary Mortgage Broker! We have mortgage solutions banks don’t have, and we know which banks are already following this new policy and which have yet to follow suit. Call us today to find out where your lender stands. Consumers. That’s you. HELOCs have many beneficial uses, but this new policy will force many borrowers to find new and inventive ways to achieve their financial goals. Contact your trusted Calgary Mortgage Broker to find your solutions! On top of this policy and all the others that have recently made it so difficult to qualify for a mortgage, qualifying for a HELOC and/or a mortgage if you already have a HELOC is becoming down right agonizing. “In a rising rate environment, at what point does it not make sense to add two points on the stress test anymore?” asks Shawn Stillman of Sigma Mortgage. The qualifying (“stress test”) rate on HELOCs could exceed 7% if we see just a few more interest rate hikes from the Bank of Canada, which is what economists predict. How far are policy-makers willing to go? Some people take comfort in believing that all these policies and restrictions are intended for the consumer’s benefit, to protect ourselves from ourselves. If that idea leaves you feeling cold, contact Calgary Mortgage Brokers to talk about how to get a little more security, and maybe a blanket too.